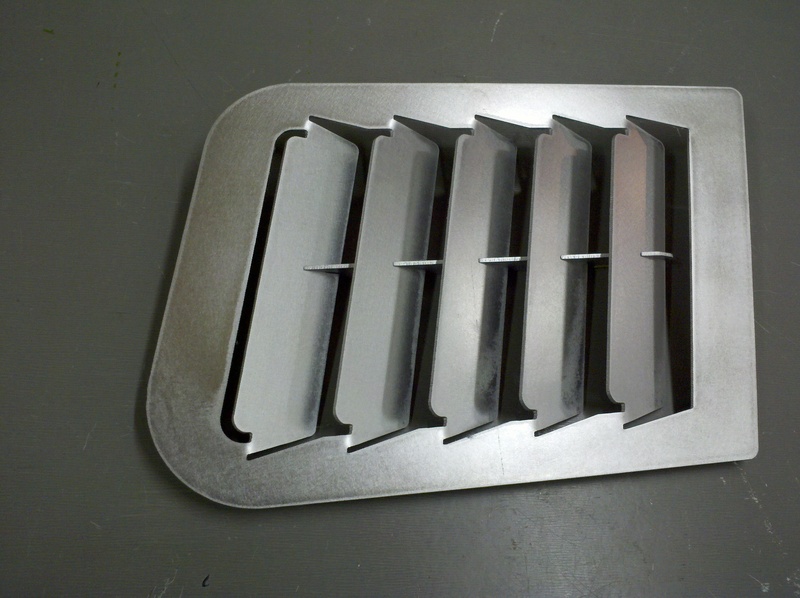 These custom side vents are “oversized”, meaning that they go in the same location as the standard side vents, but are larger than the factory opening. To install, the body opening is simply “opened up” to a slightly larger size to fit this vent panel. These are designed to match with the Hood Louvers in style and design. 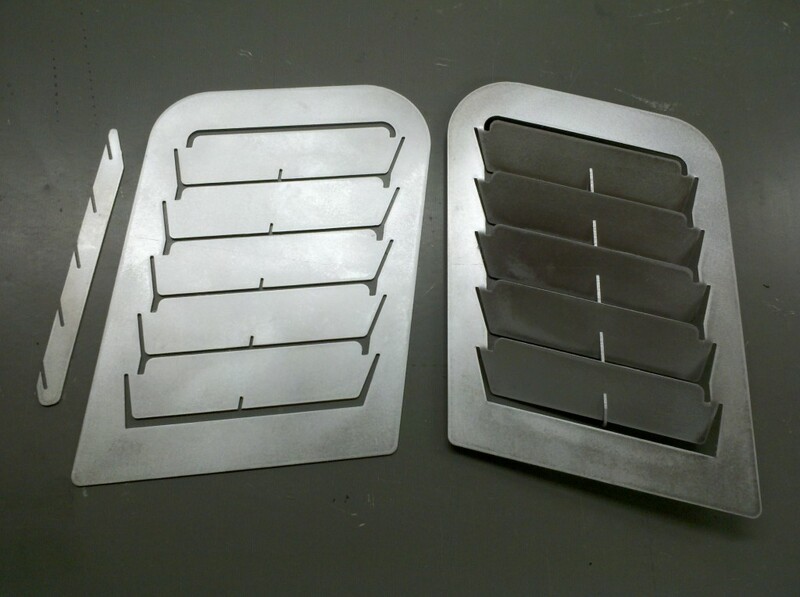 These are made from .080″ aluminum, and shipped flat. Assembly time takes about 5 minutes. Use them while they are in the flat state to scribe the outline of the opening onto the body for a perfect fit.